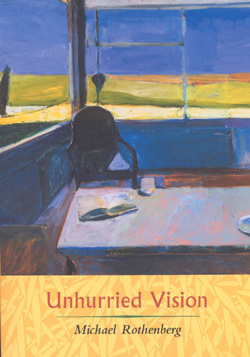 Unhurried Vision continues Michael Rothenberg's experiment with the journal, a record of a year--The Millennium, but slower, without the fanfare, evenings before falling asleep, sometimes half asleep, taking down fragments as they surfaced, dating them, and going on. This is the year that Philip Whalen became terminally ill and Rothenberg began taking care of him on a daily basis, editing his book of selected poems, Overtime, organizing events to celebrate its publication, and pulling together Whalen's archives and library. Order from: Big Bridge Press, 2000 Highway 1, Pacifica, CA 94044. Checks payable to Big Bridge Press--$12.00, shipping included. ISBN: 188880940X. E-mail Michael Rothenberg. Big Bridge Press announces publication of Philip Whalen's GOOFBOOK for Jack Kerouac. Written in 1961, Whalen says GOOFBOOK is: "A book for Jack, saying whatever I want to say...". Edited by Michael Rothenberg. Cover photo: Philip Whalen and Jack Kerouac by Walter Lehrman. Paperback. 34pp. Order from: Big Bridge Press, 2000 Highway 1, Pacifica, CA 94044. Checks payable to Big Bridge Press--$11.00 plus $4.00 postage. ISBN: 1-878471-07-4. E-mail Michael Rothenberg. 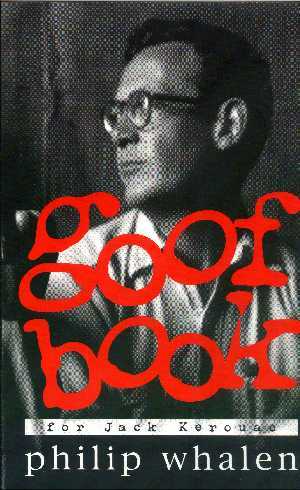 Read a review of Goofbook, by Larry Sawyer.